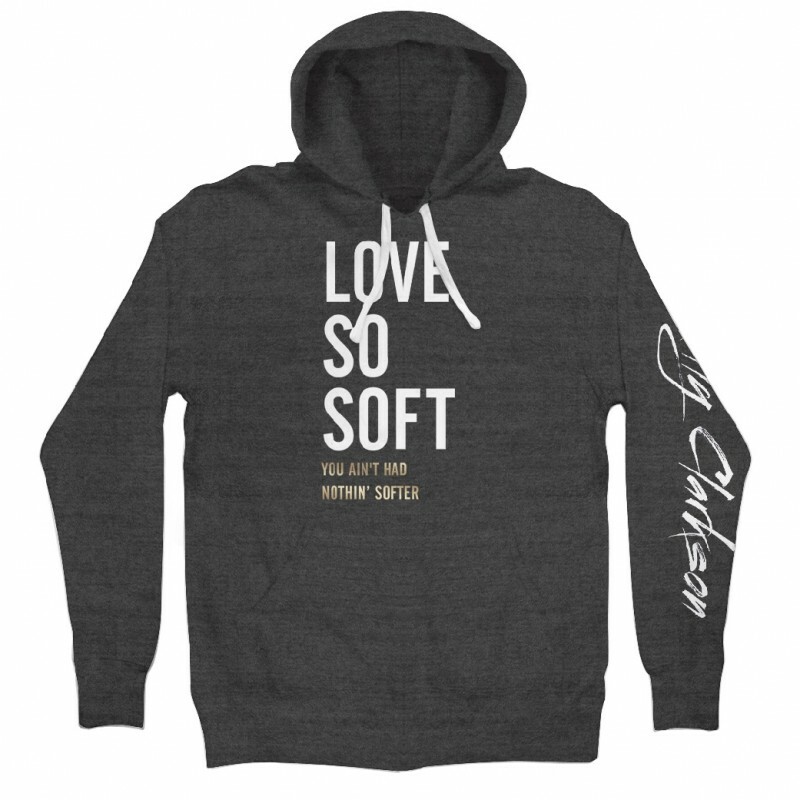 The Love So Soft Hoodie features "Love So Soft" printed in white above the gold foil lyrics "You Ain't Had Nothin' Softer" just below. "Kelly Clarkson" is also printed in white along the left sleeve. This hoodie design is printed on a premium, supersoft charcoal heather grey Alternative Apparel brand pullover sweatshirt. Material: 50% Polyester, 46% Cotton, 4% Rayon. Material: 50% Polyester, 46% Cotton, 4% Rayon.